Small California credit union gets by with a little help from its friends. 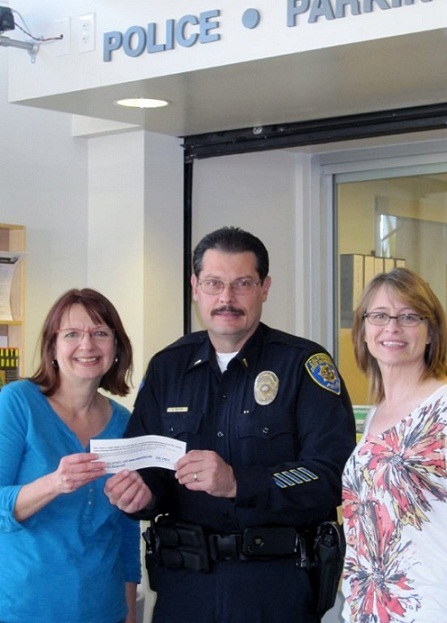 From left, Barbara Bean, CEO Cal Poly FCU; Lt. Bruce Wilson, Cal Poly Pomona Police Department; andd Joy Tafarella, vice president of Cal Poly FCU. The $11 million CalPoly Federal Credit Union would have been powerless from Dec. 27 to Dec. 30 this past year, but it was saved by some of the relationships it has made throughout the years.